Its spring time and we’re all itching for new experiences. The good news is, there are new cuisine concepts, bars and breweries popping up all around town. Cicero, Downtown, DeWitt and Skaneateles are all welcoming new hot spots and locals are eating it up. Barone Gardens has evolved their long-time beloved greenhouse and wholesale garden center into a hoppin brewing company. This unique spin on a garden center will allow Barone Gardens to grow hops year-round. 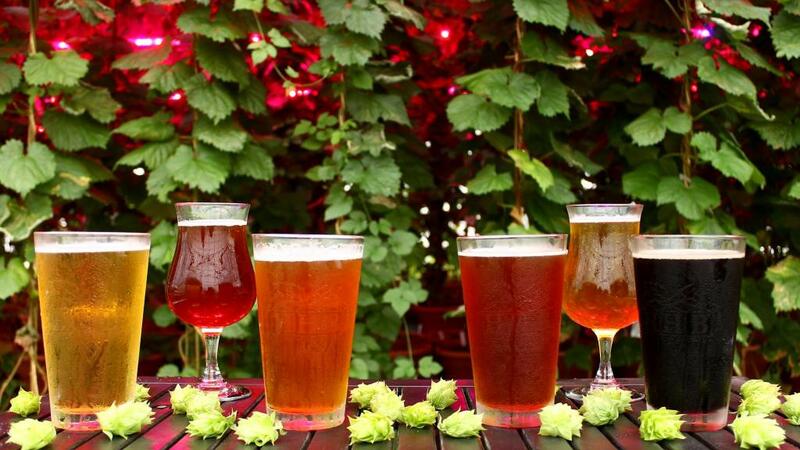 Come sip some brews in a transformed greenhouse. Quite possibly the chicest looking Mexican restaurant, The Elephant and the Dove, named after Mexican artists, has everyone buzzing. Serving up hearty portions of Mexican cuisine (and margaritas, of course) this restaurant is sure to satisfy many crowds. From a DJ on the weekends, seating around the kitchen and interior design to please the eye, this just may be your new hang out spot. Plus, boat side delivery to the docks during the summer months. Can this get any better? A great addition to Skaneateles, the brewery will produce small-batch brews including pale ales, porters and IPA’s. The establishment will operate as a farm brewery with a tap room to sample and buy the small batch products. Opening right next to Last Shot Distillery, this is your one-stop shop for a day full of tastings. Located in the cellar of Oh My Darling is a spiffy, modern day speakeasy with a 1920s flare. You can expect to find a designated speakeasy entrance, original building features restored, vintage bar ware and velvet furnishings. The Fitz is unlike anything else downtown with live music nightly on the baby grand piano. Time to get dolled up and head to the juice joint. Farm-to-table and garbage plates come together at this downtown spot. The concept is to make good food with rotating, local ingredients where everyone can eat; from gluten-free to vegetarian and vegan needs. With a reusable container program for takeout meals, this experience is all around guilt-free. DeWitt Bagel Company, sister company of Cazenovia Bagel Company, is soon to fill the bagel void in the DeWitt community. This location will carry authentic NYC style bagels and the custom-blended Recess Coffee, Dewitt Bagel Blend. Most ingredients will also be sourced from local farms, making this an East-siders breakfast dream.